You don’t have to look at a calendar to recognise that it’s Halloween: I don’t know about you, but the trickle of horror reviews and features on my WordPress Reader has become a flood over the last week or so. Any regular readers of ccpopculture know that horror is a regular feature here, but I thought I’d commemorate this blog’s first All Hallow’s Eve with a discussion of (probably) my favourite horror film of all time: Stanley Kubrick’s masterpiece, The Shining. Instead of a straightforward review, I thought I’d compare the two cuts of this horror icon. For those unaware, the first theatrical release of the film – in the United States – was about half an hour longer than its subsequent release in Europe after Kubrick ruthlessly culled the film of any flab. The running of the US cut is 144 minutes, compared to the lean 113 of the European cut, and a full list of the differences between the films can be found on IMDB. So which version is superior? For the most part, it’s a matter of personal taste, although the popular choice seems to be the shorter cut. It’s easy to see why, as it’s very hard to point out any of the excised scenes as necessary. Many of the scenes removed are of characters walking from point A to point B, or of Danny and Wendy watching television in silence. 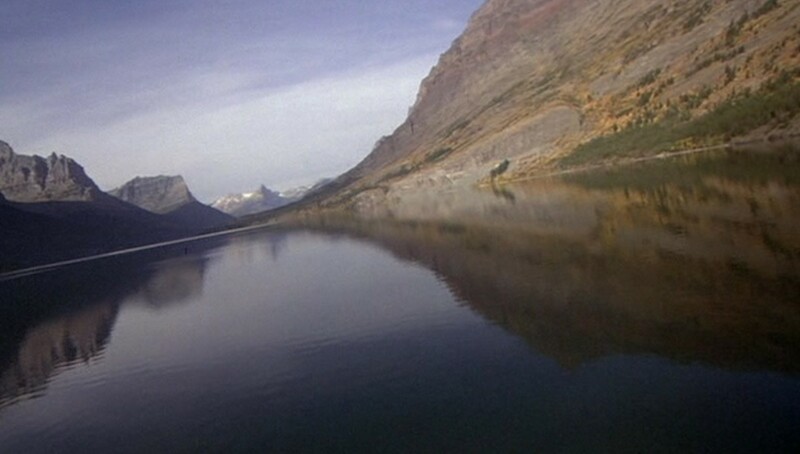 The most significant difference between the cuts is the way it emphasises the sense of isolation of the Overlook; these scenes might not add anything to the storyline, but they contribute to an atmosphere conducive to cabin fever. The shorter cut is faster paced, but feels less tethered to the mundane nature of reality (The longer cut also emphasises the theme of Jack’s alcoholism – perhaps overly so). After some reflection, I have to side with the shorter cut. While I do love the fuller sense of reality that the miscellany of the US cut provides, when I think of why I love The Shining so much, why it has such enduring power, I always return to those ethereal, uncomfortably sinister opening shots, the eerie way the camera glides impossibly and inevitably towards the Overlook. The longer cut may have the resonance of reality, but the European version is the best representation of the operatic wrongness that makes The Shining leave such an indelible imprint on its audience. The Shining is by far my favourite horror movie too, nice post! I agree too. The European version is better – it moves better, though I agree the American one highlights the isolation more. There’s a lot of shots of TVs, which could mean all sorts – isolation, on screen violence? I also hate the skeleton shot at the end of the American one – it pushes the film into hokeyness and is a step too far. The one thing I prefer in the American cut is that it’s much clearer what happens to Danny between the 237 and Redrum scenes – I like the ‘Danny isn’t here any more Mrs Torrence’ and seeing his trance makes the REDRUM bit, and his snapping out of it, make more sense. But then saying that, The Shining often works best when it doesn’t make much sense, and chopping out the trance blurs the film’s timeline. So I’m torn on that too! But sorry to ramble, nice original post! For me the TVs emphasise both isolation and boredom, but there’s no denying that Kubrick could have had a wider agenda there – I wonder if he was pro- or anti-TV? Agreed on the skeleton shot; it’s not as bad as I expected it to be reading about it, but it’s certainly very out of place. I wanted to talk about it a little but needed to stick to my 400 word limit for Double Features. 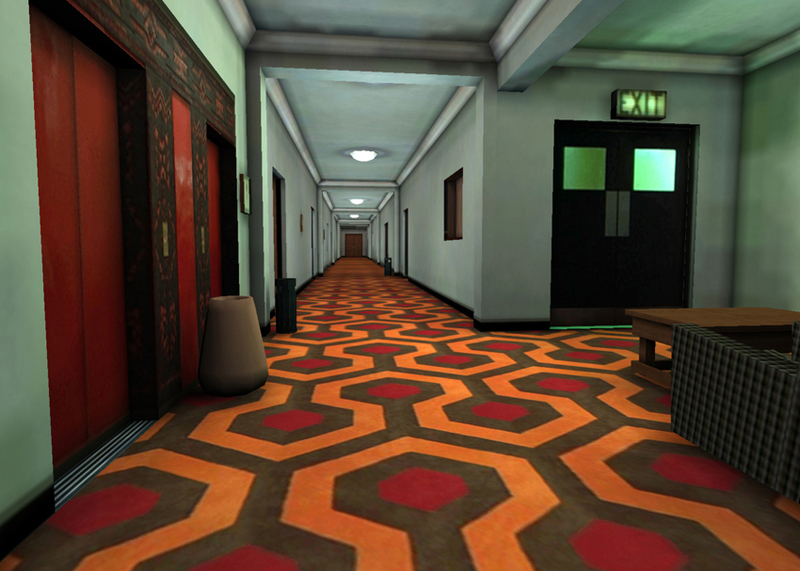 I know what you mean about the Room 237 incident; I like both versions a lot, to be totally honest. The American cut keeps the titular shining front-and-centre (since it is sorta subsumed by everything else in the European cut) by demonstrating Danny’s trance, but there is something very eerie in the shorter cut when Wendy runs to fetch Jack explaining what happened to Danny, since you have to wonder – How does she know? What makes her so certain that it wasn’t Jack? etc. Thanks for the comment! One of the most frustrating things about the two cuts (that, again, I didn’t have space to discuss above) is the way that there’s no indication of which version you’re getting on DVD/Blu-Ray in Australia. The current DVD is the European cut, but claims to go for 150+ (!) minutes, while the Blu-Ray is the American cut. It’s really disappointing when DVD distributors don’t make any effort to even note what version of the film they’re releasing – not sure what it’s like elsewhere. Yeah – I think there’s something about boredom in the TVs. But then both cuts have the scene where Danny talks about the Donner party and mentions he saw it on the television, which Jack repeats back mockingly. There’s definitely an agenda there but I think it says a lot that Kubrick cut those scenes out. Maybe he had too much else to say? I agree the Danny cuts make the movie interesting either way, and I think Kubrick’s intention was to deliberately make everything ambiguous. If you ever read Roger Ebert’s review he basically spends the whole time talking about us not knowing what’s happening at the Overlook, suggesting that on some level everything plays out in the character’s heads. I think the cuts add to that disorientation. My UK DVD simply says 115 minutes. I wasn’t even aware of the American version for years until I caught it on TV and wondered where all these added scenes were coming from! But good, interesting post though! That’s a good point! I hadn’t connected the comments about the Donner Party on television with all the scenes of television watching in the US cut. It does seem like there was some intentionality to do that, even if it’s not clear in either cut (knowing the amount of film Kubrick shoots, it wouldn’t surprise me if there was a version of the film that made this link clearer). Yeah, I like that Ebert review. I don’t entirely agree with his thesis – for all the ambiguity, there’s a distinct supernatural element to the film – but it’s an interesting take. Great post! One of my all-time favorite movies. 🙂 I didn’t know there were two different versions until my British hubby told me. I’d assume I’ve always watched the American one since that’s where I grew up and first watched it! Yeah, it’s not very well publicised that two quite different versions exist (unlike most films with different cuts, which use it an excuse to sell extra DVDs! ).